I have been wanting to take this photo since last month. I finally took it yesterday. You probably have read it in the newspapers. Ben was struck down by a drunk driver. A fine young life ended at a tender age of 35. A larger photo of this bike available here. A notice from the Traffic Police. 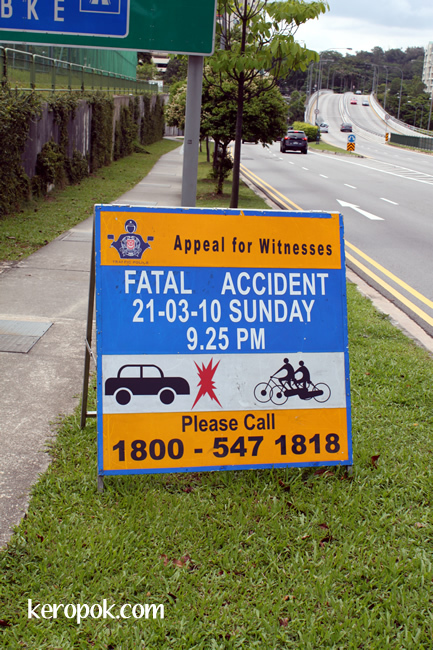 This has been around for a month, they are still appealing for witnesses. We have a very obvious "ghost bike" on one of our city streets in an area where a biker should not have been killed. Our city has lots of cyclists and is trying to educate them and car drivers on each individual's responsibility. There are too many careless drivers on both sets of vehicles! 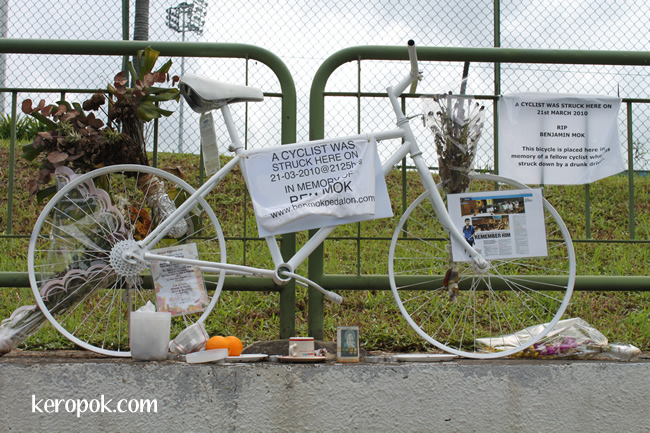 It is always very sad when a cyclists gets run over, but by a drunken driver is unforgivable. I hope they caught the driver. Strong photos and clear messages! Somewhere a driver must be aware of what happened! Ya, we need to educate both motorist and cyclist. The driver must be living in guilt I think. will his conscience not bother him for the rest of his life? !